When I want to be surrounded by creativity, I go to a bookstore. Not just to be inspired by stack upon stacks of brilliant writing, but also to ogle at the ever-increasing array of artful book covers. With more distinguished artists like Frank Miller, Tomer Hanuka, Roz Chast and Art Spiegelman joining the ranks of book designers, the modern day bookshop has become a veritable art gallery. 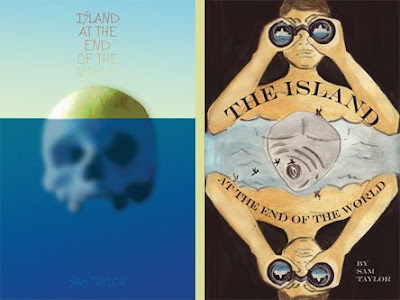 Recently, Penguin Books (in partnership with Creativity Magazine) launched a Cover Design Competition for Sam Taylor's upcoming novel, The Island At The End Of The World. 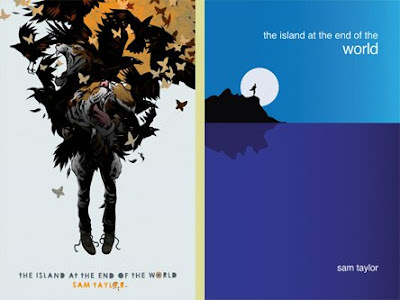 'Sam Taylor's The Island at the End of the World is a riveting post-apocalyptic tale that explores the darkness that lies within the hearts of men." 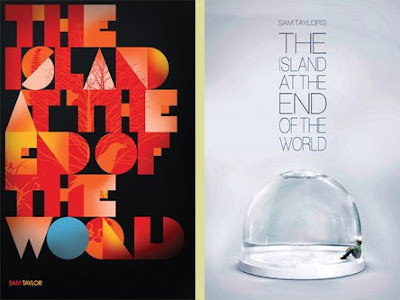 Penguin editor Alexis Washam, creative director Paul Buckley, and the editors of Creativity Magazine selected the 25 finalists and the overall winner of this book cover design competition. Below are my 8 favorite designs (which include the winning entry). Congratulations to the artists! Left: Winner Matthew Taylor (no relation to the book's author). 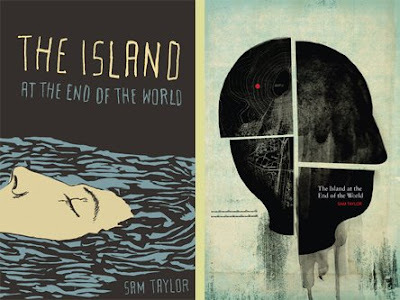 One literary idea spreads to eight imaginative book covers! Let me put it this way: creativity is contagious. Info and Book Cover Images from Creativity-Online / Bearbrick info from www.fourxthree.com / Bearbrick pic by Yours Truly. 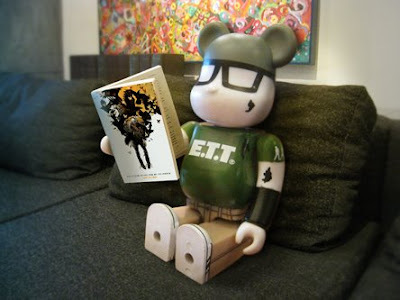 hey hey, thanks for sharing the love, and that bearbrick pic reading the book is awesome!